"At Honeybee Gardens, we believe natural, healthy body care and cosmetics should be affordable. We're not rich and we want good products. Solution: make them ourselves and share the love with the world!" I've built up a decent amount of their makeup during that time. I started off with their water-based nail polish. Their is a good selection of colors, I have a few, and they wear well. I do recommend you get their nail polish remover to go with it as regular remover doesn't work very well. In addition to the nail polish, I also have a JobaColors Eyeliner and a PowderColors Mineral Color that I use for eyeshadow. I am more than happy with all of them. For comparison sakes, I just went to CVS.com to see what the prices of some mineral eye shadows are and the ones they carry range from $6.99 to $9.99. And those aren't even natural. The Honeybee Gardens mineral color is only $4.99. Honeybee Gardens was nice enough to send me JobaColors Lip Liners to try out. I have't worn lipliner in a very long time so I was happy to get some to use. I thought it was funny that the two colors they sent me matched the typicl lipstick colors that I wear: brownish-berryish colors. The Lip Liner went on very smoothly and looked great. It also lasted a pretty long time. Unfortunately, I didn't have a natural lipstick to try with it so I used my regular ones. But now that I have this lip liner, I was inspired to order some Lipstick from Honeybee Gardens which should be arriving any day now. So excited! 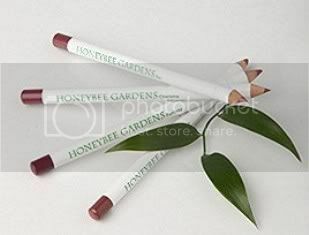 One lucky winner will receive THREE JobaColors Lip Liners from Honeybee Gardens. The winner will receive one of each of the following colors: Island Spice, Perfection and Zen. Visit Honeybee Gardens and take a look at all the products they carry. The come back and tell me which two products you would like to try. Please remember that this is mandatory and you must complete this before submitting any extra entries. - Blog about this giveaway with a link to Green Mama's Pad and Honeybee Gardens. Please leave link in comment. This giveaway is open to US Residents 18+ only and will end on Wednesday, May 6th at 11:59pm EST. One winner will be chosen at random using Random.org. Winner has 48 hours to claim their prize otherwise a new winner will be picked. You must leave your e-mail address in your comment(s) so I can contact you. I will not share your e-mail address with anyone, it will strictly be used to notify you if you win. Good luck! I'll have to check them out. This past year my 'adult' skin has done a complete 180 on me and I can't find any skin products that don't clash with my needs. 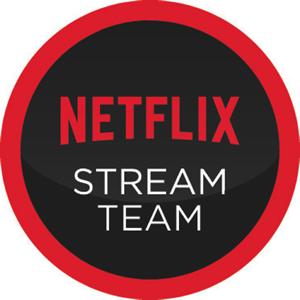 I have your party button! Oooh! I've been wanting to try their products! I'd love to test out the Truly Natural Mascara and non-peel off nail polish. I'd most like to try the WaterColors Non Peel-Off Nail Polish and PowderColors Stackable Mineral Color! I'd LOVE to try their Truly Natural Mascara and their WaterColors Peel Off Polish. The first sounds great because I hate that I put all those chemicals right at my waterline, and I remember peel off polish when I was a kid, and I LOVED it. I would like to try Truly Natural Mascara and Odorless Nail Polish Remover. The alcohol free Facial Toner & the Orange Mimosa Lip Balm would be great to try. Clearly Natural Lipstick in "San Francisco" and Clean Mint Cleansing Gel . I'd love to try the mascara and lip balm! I would absolutely love to try the WaterColors Non-Peel Off Polish! Truly Natural Mascara and non-peel off nail polish. i would love to try the water-based nail polish and the lipcolors...the two things I wear regularly! I would like to try the Vanilla Pie Lip Balm and WaterColors Non-Peel Off Polish. I would love to try the PowderColors Stackable Mineral Color in Wicked. I'd like to try the powdercolors stackable mineral colors and the tropical lip balm. I would like the Clean Mint Cleansing Gel, ant the alcohol free hairspray! I would LOVE the odorless polish remover. Thanks for the chance. Eye Shadow Brush. Thank you! Thank you for a great giveaway! I like the hair spray and the polish remover. THank you! I'd like to try the Hippie Chick purple nail polish and the natural mascara. I hope I win the lipstick, but if not, I'll definitely be shopping on that website. I'm reading the Green Beauty Guide and makeup is the one place I need to work on! I'd try the Truly Natural Mascara and the Truly Natural Lipstick. I'd like to try the mini buffer brush and the alcohol free hair spray! I'd like to try the HBG for Men Herbal Aftershave and the Bay Rum Deodorant Powder. The two products I'd like to try are the odorless nail polish remover and the french manicure kit! Thanks for the giveaway! I would like to try the Orange Mimosa Lip Balm and the Powdercolors stackables mineral color. I would love to try their Strawberry Champagne Lip Balm & Clean Mint Cleansing Gel. love this wonderful shop! I would love to try the Vanilla Pie Lip Balm and Truly Natural Mascara. I'd like to try the lip glosses and pedicure kit and almost anything else! I tweeted this and follow you! the Truly Natural Mascara and the WaterColors Peel Off Polish sounds like what i could use. I would like to try the lip balm sampler because each flavor sounds delicious. I would also like to try the deodorant powder because we hear so much about anti perspriant being linked to breast cancer. I'd also love to try the LipBalm Sampler and the Wheat Therapy Conditioner, so neat! I'd like to try the Alcohol Free Facial Toner and the Wheat Therapy Conditioner. I would like to try their Clean Mint Cleansing Gel and Hydrosol Face & Body Mist. Thanks for a great giveaway! I've become a fan on facebook. Thanks! Trish F.
I would like to try the Wheat Therapy Conditioner and the Deodorant Powder! I would like to try the alcohol free hair spray and the truly natural mascara. I like to try Truly Natural Mascara in Chocolate Truffle and Luscious Lip Gloss in Glam I Am. I would love to try the deodorant powder and the Truly Natural Mascara! Christina - xristya@rock.com - I'd love to try the Odorless Nail Polish Remover (what a concept!) and the Truly Natural Mascara! Thanks for the chance to win the lovely lipstick giveaway! I'd love to try the Deodorant Powder and the Herbal Bath Bag in Therapeutic. I love the truly natural mascara and the lip balm sampler! What a great giveaway. Mama needs some lipliner! I'd like to try the Strawberry Champagne Lip Balm and the Wheat Therapy Conditioner. I would like to try the Side By Side Dual Sharpener With Flip Top Lid and the Truly Natural lipstick in Valentine. I'd like to try the clean mint cleansing gel and the tropical lip balm. What a fantastic selection of products! I love so many of the pretty colors of the PowderColors Stackable Mineral Eyeshadows and my favorite is the Martini Color, it will bring out the green in my eyes! Thank you so much for the opportunity to enter. I'd love to try these gorgeous lip colors! I would like the eye shadow in Meringue and the lip balm sampler. I would really like to switch to this type of makeup but It will take time. I like the tropical lip balm and JobaColors Eye Liner. I would try the PowderColors Stackable Mineral Color in Wicked. and the tropical lip balm. sounds yummy! Big Fan of Lip Balms, so I'd like to try the the Orange Mimosa and Tropical! kabuki buffer and truly natural mascara. I like the Wheat Therapy Conditioner and the Clean Mint Cleansing Gel. I would like to try the Alcohol Free Hair Spray. I'd like to try the PowderColors Stackable Mineral Color in Gypsy & the 8-Piece Pedicure Kit. I would love to try the Alcohol Free Facial Toner and Clean Mint Cleansing Gel! Would love to try their WaterColors Non-Peel Off Polish as I have been looking for a safe type. I would like the alcohol free hair spray and the Truly Natural Mascara in Chocolate Truffle. Truly Natural Mascara and Odorless Nail Polish Remover. I'd love to try the Truly Natural Mascara and Wheat Therapy Conditioner! Id like to try the orange mimosa lip balm and the wheat therapy conditioner. I'd like to try the Truly Natural Mascara and the WaterColors Peel Off Polish. Thanks! I love the orange mimosa lip balm and the wheat therapy conditioner!